This is an optional Robinson Racing Vaterra Halix 32P Gen3 Slipper Kit. 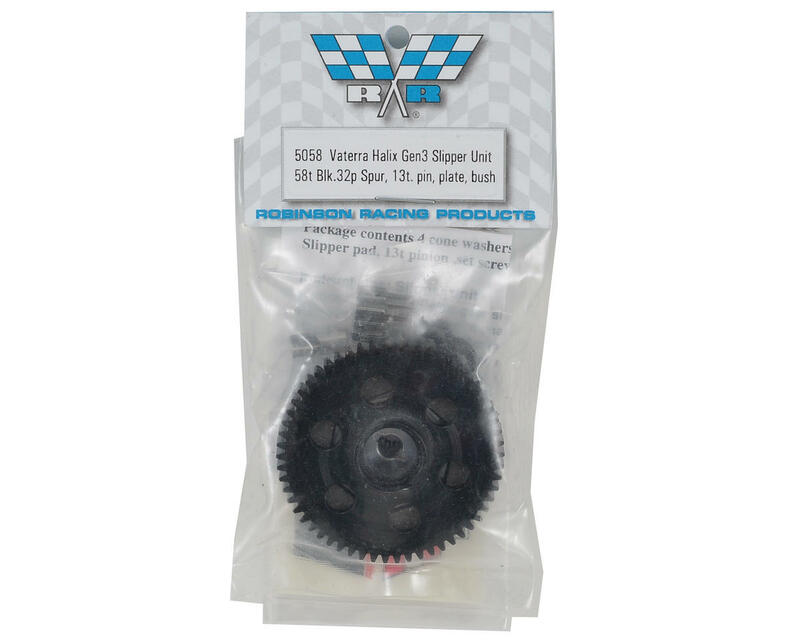 Robinson Racing has converted the stock 48 pitch gear set to extra heavy duty 32 pitch tooth profile. Running 3S LiPo? No problem! Don't be afraid to pour on the power. 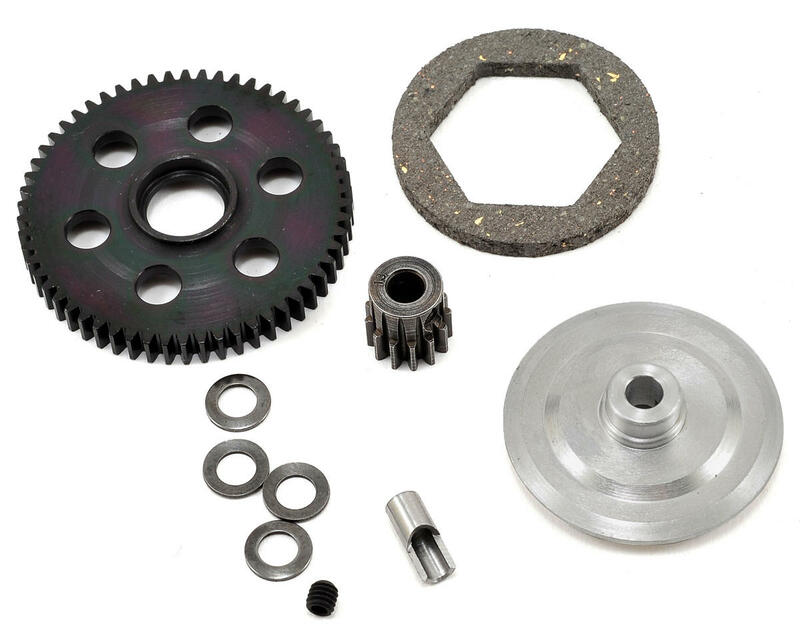 A precision machined, hardened steel spur, with a blackened finish that improves lubricity (the capacity to reduce friction) and anti-galling (metal cracking/breaking from friction) characteristics resulting in better mating surfaces and smoother running gears. Upgrade your Halix and unleash the power! The backplate is machined from airplane grade billet aluminum, making it very strong and very hard. It will not warp or break. The backplate uses a captured design to hold the extra thick slipper pad solidly in place. A 13 Tooth Extra Hard High Carbon Steel Motor Pinion (RRP1213) is included to get you started. The pinion is 5mm bore but an RRP1200 5mm to 1/8 inch aluminum reducer sleeve has also been included just in case. Additionally, one 4mm set screw, four cone washers, instructions and some RRP decals are also included. 4mm set screw requires a 2mm allen wrench (NOT INCLUDED). I do not recommend this gear after run it, because the Halix have no adjustement on motor mount and the gear mesh was too tight from factory, that scrap the Robinson Racing pinion and spur after only 1 run.